I’m a big fan of Training From the Back of the Room, and use lots of the ideas from there for bits and pieces of RailsBridge. 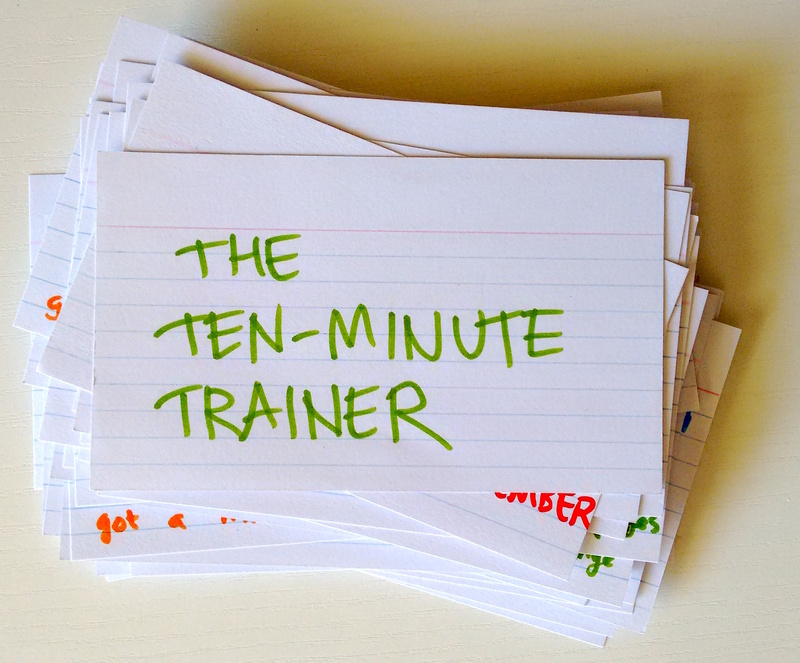 I finally made some time to look at one of Sharon Bowman’s other books: The Ten-Minute Trainer. As I did with TFTBOTR, I went through and made myself flash cards of the activities and other big ideas that particularly interested me. I got a lot from the book, but one particular theme that I appreciated was being reminded of the specific brain-related reasons for doing things in certain ways. Teaching someone else a thing you’ve just learned makes you remember it for longer. Spending more time discussing new things makes for better linking of the knowledge between your old and new knowledge, which in turn leads to deeper understanding and longer retention. I’ve been using images a lot in training stuff, but I was reminded that I needn’t take it quite so literally. It’s not just illustrations and photos: you can use mental images created by metaphors and stories for the same effect. I’m also keen to see where and how I can introduce graphic organisers into the training I do. 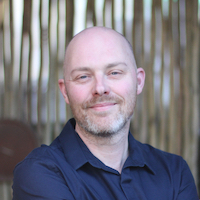 Another thing that I haven’t been doing much of is kinesthetic stuff: linking ideas and concepts to body movement, which lets people learn things more quickly, increases recall and attention, and helps move the ideas into long term memory. Go buy and and read it! If you haven’t read either, I recommend starting with TTMT, then moving on to TFTBOTR. Both have lots of good stuff, but TFTBOTR feels like a refinement, iterative improvement, and clarification of the ideas. If you can only read one, I recommend TFTBOTR. It feels slightly tighter, and I found the large volume of activities in TTMT a bit overwhelming and sometimes slightly repetitive.